What do we know about strategic marketing, effective advertising and creative design? A LOT! Our thinking is steered by a comprehensive view of your brand’s relationship with its audience. Our “brain-storming” team is focused on creating focused and authentic messages that connect your brand in a meaningful way to its core customer base. By working alongside your brand leaders at a corporate, brand, or product level, we help uncover forward-leaning positions that resonate with your audience, and aren’t driven by corporate speak. Here are just a few of the things that we are extremely well versed in, we can even possibly, and quite humbly, call ourselves EXPERTS in. Which means that we work with major corporations to handle all of their marketing needs. Which means that we work with small and large businesses to provide whatever type of marketing and/or advertising services they may need. 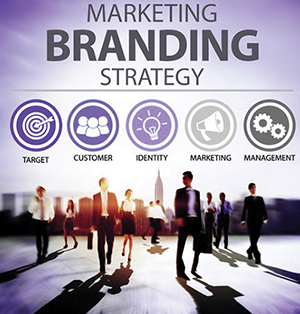 We effectively represent the company brand while growing your consumer awareness. Our development team rocks and they have their finger on the pulse of what makes your buying market move to purchase. We develop everything that you need to market your business to the consumer. We ALSO develop the materials you may need for sales support to your sales team or franchisees. But we don’t just develop the piece that will help the company grow consumers, we also fulfill any printing of the materials that you may need (posters, flyers, rack cards, brochures, etc.). Once we (you and us) determine the most effective route to take in advertising your company we go to work with purchasing the media (radio, TV, social media, direct mail, print ads, etc.) at the best price possible and then we work our magic in writing commercial scripts, storyboards, ad design, postcard design, etc. Here is the best part – we never take the agency discount that some Medias offer to Advertising Agencies. Instead, we have that discounted go directly to your bottom line! Development and printing fulfillment of all creative materials needed for the purpose of motivating the consumer to buy. Development and printing fulfillment of all creative materials needed for the purpose of motivating the consumer to refer a new customer. Development and printing fulfillment of all creative materials needed for the purpose of participation by other businesses to enter into a cooperative/cross marketing effort for the purpose of generating new clients. Development and printing fulfillment of all creative materials needed for the purpose of effective representation at events, expos, tradeshows, and etc. that will motivate generate positive results and brand awareness at events. Development and execute highly responsive email marketing campaigns for the purpose of selling a product or service to the end-user. Our social media team at The Cate Agency sits around most of the day using their cell phones! They do a great job for all of our clients who want to capitalize on the growing their businesses using the social media platform. Creation and execution of laser—focused prospecting ad campaigns that reach your clients community. We understand that copywriting is paramount to any campaign for any business no matter how large or small. Most importantly, we understand that your voice needs to be heard and the “speak” needs to resonate with your community of customers.